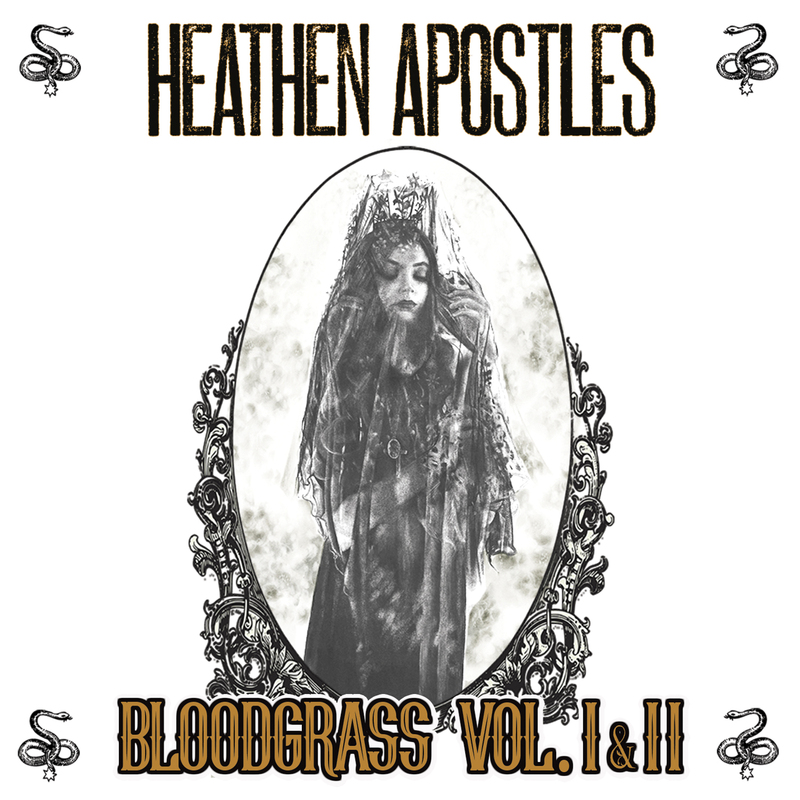 The Heathen Apostles' fourth album Bloodgrass Vol. I & II could one day be looked upon as a Gothic Americana classic. The album is the consolidation of their acclaimed Bloodgrass EPs released digitally in 2017 and 2018, and available for the first time now on CD and LP. 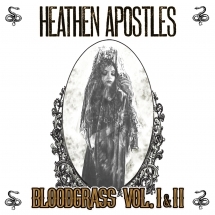 "Bloodgrass Vol. I & II represents a crossroads for me personally, not only as a singer, but as a writer as well. In particular, I am truly happy with Paint the Stars as well as Deadly Nightshade - both songs serve as ideal bookends to the scope of our musical spectrum," states lead vocalist Mather Louth. "The Bloodgrass Vol. I & II album is our way of expressing the passion we have for the music that has formed the way the Heathen Apostles recordings have come to be. Bluegrass, gothic rock, country blues; whatever suits the song is how it comes out," says guitarist Chopper Franklin. Indeed, the album includes their darkened take of Doc Watson's bluegrass version of the Gershwin classic Summertime, a moving reading of Darrell Scott's gut-wrenching You'll Never Leave Harlan Alive and Hank Williams' Ramblin' Man. Add these to the Gothic Americana originals: Death Came a Ridin' and Deadly Nightshade (revisiting the dangerous territory of prior favorites The Reckoning and Death's Head), Dark Days (country-tinged gypsy jazz) and Paint the Stars (a haunting melody sung over driving bluegrass instrumentation). Bloodgrass Vol. I & II again shows the Heathen Apostles on the leading edge of the emerging Gothic Americana genre. For fans of Nick Cave, The Pogues & 16 Horsepower. American & European tours in Summer 2018. European stops include Germany, Belgium, The Netherlands and Switzerland.